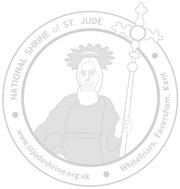 This year for Christmas I wanted to write a more personal letter to you as a supporter of the Carmelites in Britain and in particular of the Shrine of Saint Jude. As you will see, the usual novena leaflet and intention form is still here – but no Newsletter! Instead I would like to send you this letter for Christmas!